Have a question for Pleasant Travelers Pension House? "Conducive for resting and sleeping." "Rooms are clean and the hotel is well maintained ." "Good location very near to diotay and L fisher hotel." 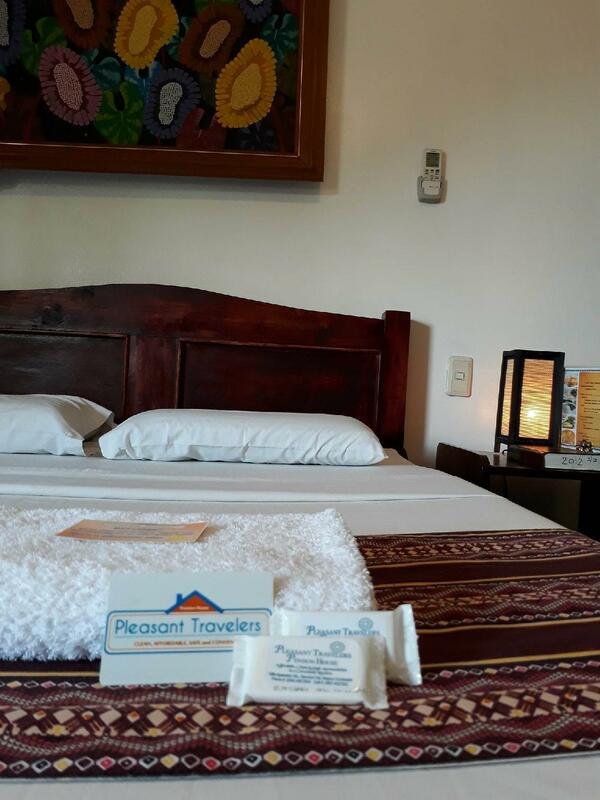 When visiting Bacolod (Negros Occidental), you'll feel right at home at Pleasant Travelers Pension House, which offers quality accommodation and great service. The excitement of the city center is only 0.3 km away. 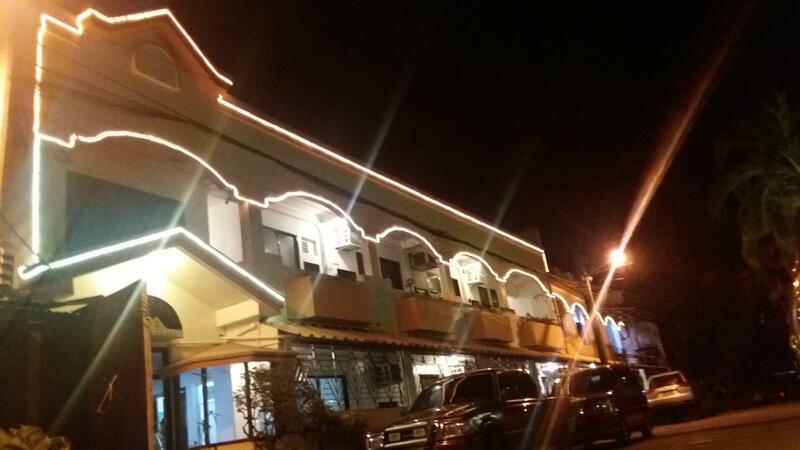 A well-kempt environment and its proximity to Provincial Capitol Lagoon, ANP Negros Showroom, Bacolod Metro Poker Club give to this hotel a special charm. Pleasant Travelers Pension House offers impeccable service and all the essential amenities to invigorate travelers. 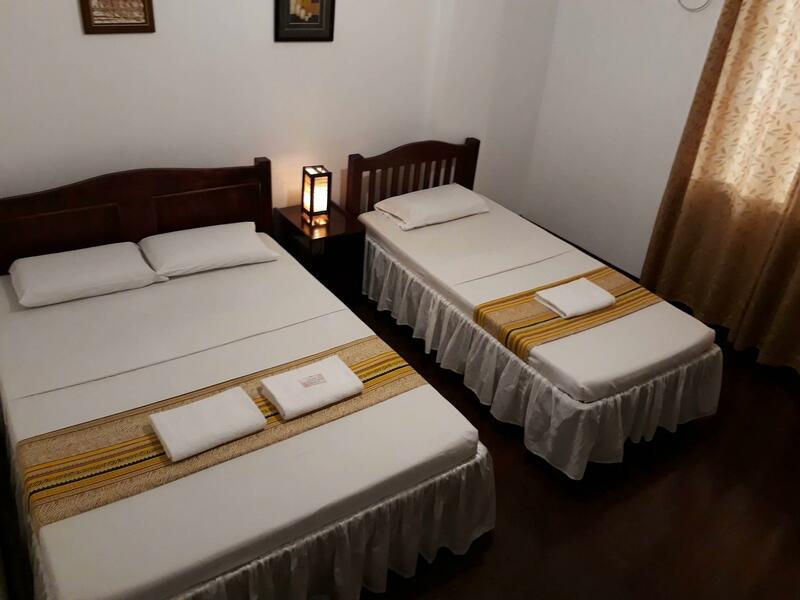 While lodging at this wonderful property, guests can enjoy free Wi-Fi in all rooms, Wi-Fi in public areas, room service, family room, restaurant. Guests can choose from 34 rooms, all of which exude an atmosphere of total peace and harmony. The hotel's recreational facilities, which include massage, garden are designed for escape and relaxation. 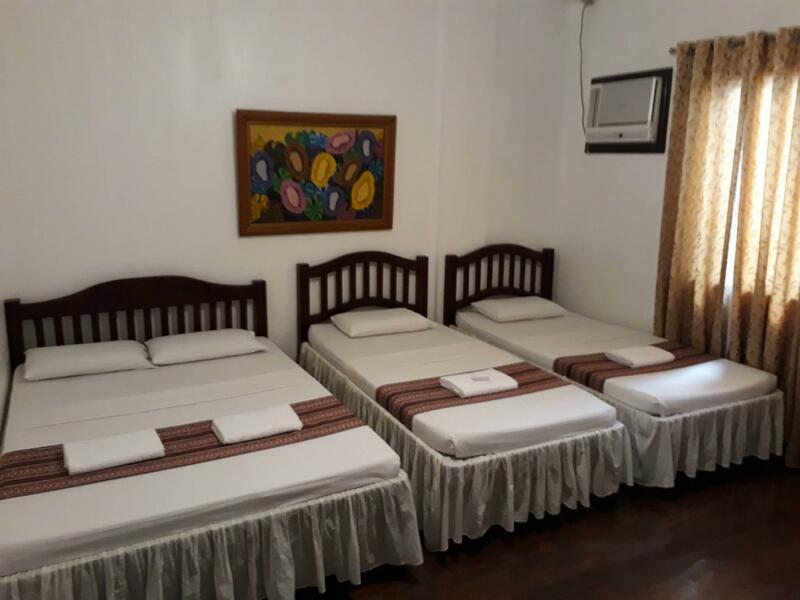 Whatever your reason for visiting Bacolod (Negros Occidental), the Pleasant Travelers Pension House is the perfect venue for an exhilarating and exciting break away. Our room was not yet ready when we checked in but the staff was kind enough to show us where we can eat while waiting. Location was good and very near establishments and Calea, the best pastry shop in town. The room was simple, cable is not working. Towels are provided and a few soap, no toothbrush. Staff are not the quickest but they are helpful and friendly. Wifi mostly good, shower hot, thin foam mattress but not as uncomfortable as some. Canteen is fine and whole place is clean. Wifi occasionally stopped working and a asking for a reset of the router seemed to work. Similarly my key would stop working every day meaning a trip back to reception. Good value for money overall and I would stay again (and extended during stay. The place is centrally located within Bacolod City. Walking distance from Calea and only one ride away to Manokan Country and the Port (for those transiting to Iloilo). For those wanting a good night sleep, you may want to stay in a room not along the street, as it might be noisy at times. Clean and very ideal for budget travelers. Good location, very near to everthing but internet is very slow and limited. Location is super near to Bongbongs, Caleas and capitol. The place is popular among locals. It is located near famous seafood restaurants. Rooms are good. No free breakfast and you have to pay extra for sugar and milk. The staff are not early to cook if you plan to leave early. The pension is in a great location and very quiet area. There are many restaurants in walking distance. The main raid closeby can take you to downtown an Robinson mall. The SM is a cheap taxi ride away. Many friendly people around if you want directions. Good location very near to diotay and L fisher hotel. Rooms are clean and the hotel is well maintained . I would have given a higher rating if it would change their small pillows and the improve the food in the canteen. Their food is greasy . 1) Location is not that accessible. You still have to walk a few hundred meters before you can commute. 2) Lots of "ihaw" stalls around the area. 3) Free dilapidated parking area. 4) Very weak Wifi. 5) Staff are accomodating. 6) Charge Php 250.00 for additional person. 7) Free soap and towel. No free shampoo. 8) Wooden floors, walls, and door. 9) Bedsheets and pillowcases made us a little bit itchy maybe because it had no tenants for a while. 10) The room was relatively quiet. Conducive for resting and sleeping. 11) Poor cable TV signal quality. 12) No room telephone and no fridge. Overall, you get what you paid for. Area is near Calea/L’Fisher and close transpo to SM Bacolod / Manokan Country. Budget friendly. Bed was not comfy. Wifi was not good. Youll get what you paid for. Nothing special. a perfect hotel to stay where you feel total relaxation. I've been here twice, last year and this year. The location is perfect. Pleasant is near in Diotays restaurant, Calea, Bongbongs and etc. The basic room only has cold water. Spend an additional 100php for hot shower Just a bath towel - no face cloth or hand towel Just hand soap bar no shampoo No other amenities available Room does have AC tho'! Very friendly and helpful staff Good solid delicious Filipino comfort food in the canteen at a very reasonable price! Excellent location short jeepny rides to anywhere you want to go Or use a 'Grab' cab (I didn't try for Uber) Am definitely staying here again!